Do your children love playdough as much as mine do?! At least once a week, we break out our playdough box and the girls have a big time creating pretend food, cars, trees, or whatever strikes their fancy. Because they love playdough so much, I decided to incorporate their favorite activity into learning about shapes. While I mainly created this activity for my 4 1/2-year-old, my 6-year-old has loved every second of these printable playdough mats! To use, simply print the pages and laminate if desired. Then, your child can form the playdough into the shape on the printed page. Also included are fun prompts to stretch your child’s imagination. 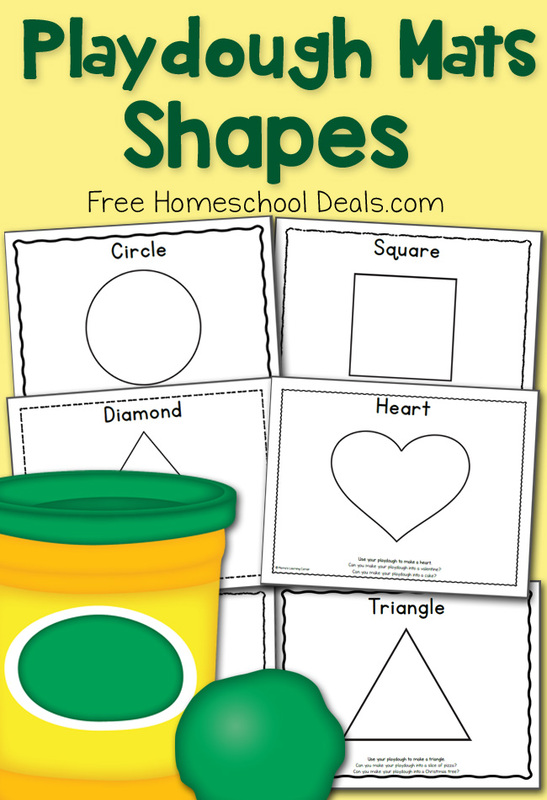 Grab Your FREE Shapes Play Dough Mats HERE!